Jonathan Weiss has not added his statistics. My name is Jonathan Weiss and I will be graduating next year, the spring of 2019 from Basha High School in Chandler, AZ. My Dad spotted my raw talent for baseball at the young age of 5 and signed me up with my first team. He made sure I learned everything about the game, and I grew up with a singular devotion to the sport and discovered a passion for pitching. I'm always striving to perfect my game, develop my command of the mound, and look for ways to grow as a player and teammate. My coaches like that I am "coachable", adaptable, and dependable. 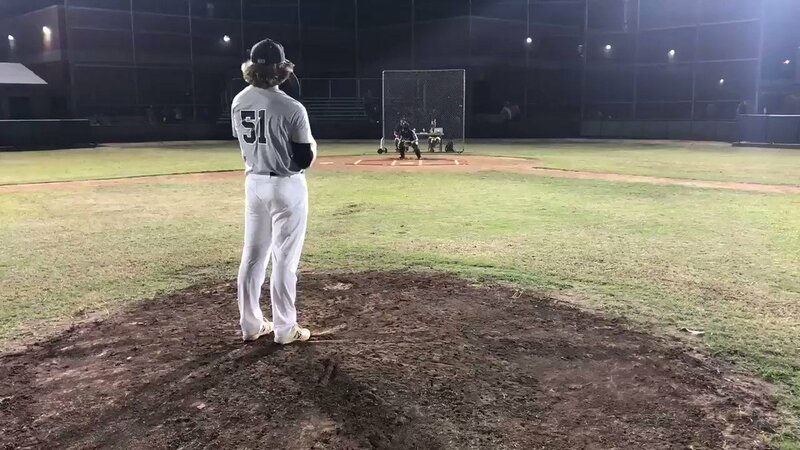 It is my dream to play baseball and pitch at a collegiate level, where I believe my dedication, experience and athleticism will contribute to the success of any team. Outside of baseball and school I enjoy fishing with my friends. My intended field of study is Exercise Science. Great outing at last nights unsigned senior event at Sunny Slope HS. Jonathan Weiss updated profile information. At my grandparents ranch in Kansas mowing the horse pastures. Proud moment for catching the biggest fish at the pond! Pitched for the win up at the Prescott Memorial Weekend Tournament 2018.